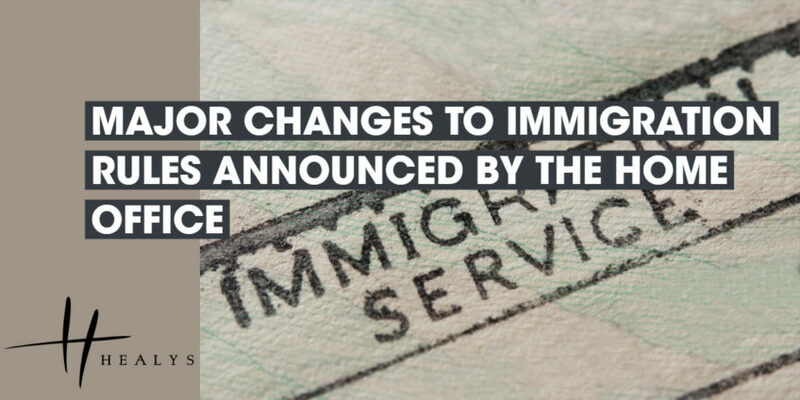 This week we saw the most drastic changes to business immigration rules under the Points-Based System. The Tier 1 Entrepreneur visa scheme will end on 29 March 2019 and is to be replaced by the Innovator scheme. Though there is to be a welcome reduction in the amount of investment required under this scheme (as opposed to that required under the existing Entrepreneur visa) , it is not clear at this stage exactly how a business would be classified as innovative. If the Home Office and the applicant do not agree on what constitutes innovation, there may be a greater risk of refusal. As stated above, from 29 March, 2019, the Tier 1 Innovator visa will replace the Tier 1 Entrepreneur visa. The target audience for the Innovator visa are seasoned business people. In addition to an endorsement, applicants must demonstrate that £50,000 (reduced from the £200,000 needed for the Entrepreneur Visa) has been invested into their business from a legitimate source. Applicants will be exempt from the funding requirement if they’re switching from a Start-up visa and have passed several milestones outlined in their initial business plan. The innovator visa could lead to indefinite leave to remain in the UK. Those who endorse Innovator visa applicants must be ‘reasonably satisfied that the endorsee will spend much of their working time in Britain developing business ventures,’ according to the statement of changes. Extension applications for a Tier 1 Entrepreneur category will remain open until 5 April 2023 and settlement applications until 5 April 2025. Changes to the Tier 1 Investor visa will also come into effect on 29 March, 2019. For a number of years the Home Office has eroded the Tier 1 visa category. We anticipated that the Tier 1 Investor visa would come under further attack due to concerns of the Home Office that the category was being used by wealthy individuals to launder “dirty” money in the U.K. In December 2018, it was reported by the media that the Tier 1 Investor visa was to be suspended. Once it became apparent that this could only be accomplished via a formal statement of change as opposed to a hastily constructed press release, the Home Office swiftly backtracked and abandoned the plans. The most significant change to the Tier 1 Investor visa relates to money laundering. Under the present rules, Tier 1 visa applicants must hold funds for at least 90 days before making their application. Under the new rules, this will now be extended to two years. There is now also a requirement to open a UK bank account before making a Tier 1 Investor visa application. Banks will be required to carry out AML (anti-money-laundering) due diligence checks and enquiries to satisfy themselves that the money being invested is “clean”. This must be done prior to the application. Furthermore, following the latest Migration Advisory Report, Tier 1 Investor visa applicants can no longer invest into government gilts/bonds and this will not be a qualifying investment under the new rules. The new rules will also make it much harder to invest funds into the U.K. via intermediaries. The requirements now state that all intermediaries involved in routing investment funds must be regulated by the Financial Conduct Authority. The new rules will not be applied retrospectively; individuals under the current Tier 1 Investor visa route can rely on transitional arrangements that run until 5 April 2023 for visa extension applications, and 5 April 2025 for settlement applications. Last year in June 2018, the Home Secretary announced that a new Start-up visa would be launched for young entrepreneurs. At that time it was unclear whether the new Start-up visa would replace the current Tier 1 Graduate Entrepreneur visa. The recent changes have confirmed that the Graduate Entrepreneur programme will be closed from 6 July, 2019. People can continue to apply for the Graduate Entrepreneur visa up until 5 July. The new Start-up visa category has been described as an expanded version of the Graduate Entrepreneur route. The new visa will be suitable for any applicant starting a business in the UK for the first time and applicants do not have to be graduates and won’t require initial funding. The initial grant of a visa/leave will be for 2 years. An endorsement is required from trusted UK organisations, for example, business accelerators, seed competitions, government agencies and higher education providers. The specific requirements for a Start-up visa are outlined in the new statement of changes, with information on who can endorse applicants for the visa, the monitoring responsibilities of those endorsing the applicant and guidelines on endorsement letters. It is important to note that the Start-up visa does not lead to direct settlement in the UK. It will be possible, however, for an eligible start-up visa holder to switch to the innovator visa after two years, which can lead to UK settlement.